Home / Bone Spurs / What is an X-Stop Procedure? The X-STOP is a minimally invasive surgical procedure designed to alleviate painful symptoms of lumbar spinal stenosis, which can cause numbness/tingling and fatigue in the legs as well as an increase in back pain with standing fully upright. The X-STOP, which stands for “Interspinous Process Decompression System”, is a titanium implant that is inserted into the back at the spinal segment where a patient has spinal stenosis (narrowing of the bony canal causing crowding of the nerve roots). Once implanted, it spreads the structures in the back of the spine apart in that area, enlarging the area of the spinal canal and making more room for nerves. X-STOP also may prevent a patient from bending too far backward in that specific region, as this can irritate the narrowed segment of the spine, often leading to sciatica/leg pain and further lower back pain. However, it still overall allows the movements of bending forward and rotating the back to a certain extent, as it only limits the motion of the narrowed region. It is therefore not a ‘fusion device,’ in that the goal is not to cause two spinal segments to become fused together into one to alleviate discomfort; the goal of this procedure is to improve the narrowing that is present in a minimally-invasive manner. For patients who meet criteria, insertion of the X-STOP may be considered as an alternative to a laminectomy surgery, the current surgical standard of care for leg pain from lumbar spinal stenosis. A standard laminectomy procedure involves directly removing bone spurs/ligaments that have gradually narrowed the spinal canal. 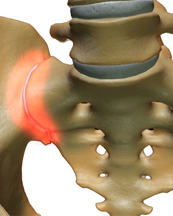 Insertion of the X-STOP spacer for spinal stenosis pain relief is a fairly straightforward surgical procedure and can be done in an operating room or specialty room at the hospital. General anesthetic is most often recommended by spinal surgeons for this procedure, during which a 2-3 inch long incision is made in the skin of the lower back, over the portion of the spine diagnosed with lumbar stenosis. X-ray guidance is then used to insert the X-STOP spacer between the spinous processes; it may be necessary to remove a small amount bone or soft tissue as part of the procedure. The implant is not placed close to the spinal nerves or spinal cord, but rather is placed behind the spinal canal. The surgical procedure to insert the X-STOP is short relative to more extensive types of back surgery, typically ranging from about 30 minutes to one hour. This procedure may be done on an outpatient basis, meaning that the patient may go home the same day as the procedure, although for certain patients many physicians recommend an overnight stay in the hospital. After X-STOP procedure, patients are usually encouraged to get out of bed and walk the same day as the surgery, as walking helps the healing and recovery process. Some patients will not require much post-operative pain medication, although it is normal to have some soreness after this spine surgery. For several weeks after an X-STOP procedure, patients are advised to avoid certain movements and activities, such as bending backward, heavy-lifting, stair-climbing, and exercise or sporting activities like golf. As ideal as this may sound to a patient with symptoms of spinal stenosis, please keep in mind that X-STOP has decreased in popularity and prominence because over time the device can wear into the surrounding bone and also become less effective. In addition, it has never been the “gold standard” option for spinal stenosis, and is therefore a reasonable option for only a relatively small number of patients. For these reasons, some spinal surgeons may be using a different implant called coflex that is considered on the cutting edge of back surgery and can sometimes avoid the need for spinal fusion. However, since this implant is relatively new, many surgeons are awaiting results of studies and trials to make sure it is safe and effective. If you have been told that a device such as X-STOP or another non-fusion implant is an option for you, make sure to talk to your spinal surgeon about what you can expect regarding relief of your pain as well as how long you might expect the pain relief to last, , so that you can choose a back pain reduction procedure that both works the best and that works long-term to improve your quality of life.